James "Jim" Leon French, Jr.
James "Jim" Leon French, Jr. age 74, of Broken Bow, Oklahoma a veteran of the United States Air Force passed from this life on Tuesday, January 15, 2019 in Texarkana, Texas surrounded by loved ones. Jim was born December 14, 1944 in Walnut Ridge, Arkansas the son of James L. Sr. and Opal French. Jim married Margaret Richardson French on December 25, 1987 and had thirty-one wonderful years together. He was a graduate of LSU with a bachelor degree in engineering and retired from Weyerhaeuser. 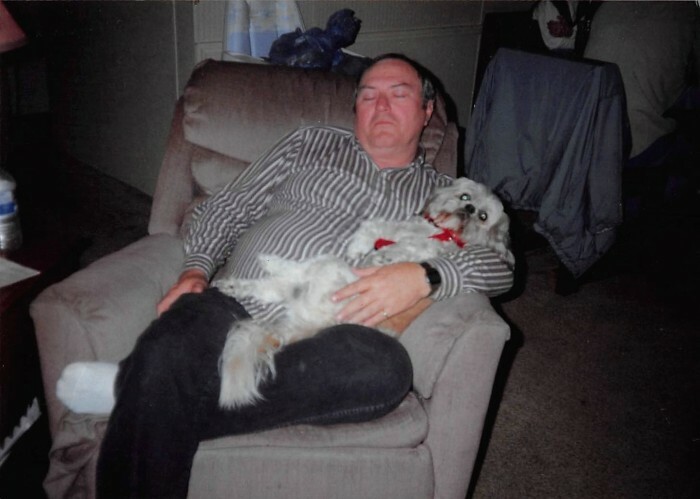 He was self-employed as owner and operator of Sears Store in Broken Bow for twelve years. He enjoyed fishing, helping others, enjoyed working around the house and on the computer, loved spending time with his family. Christmas was his favorite holiday this Christmas was very important to him to bring all the family together. Jim’s family was his first love and his second love was his family at Lambert Lumber where he was presently employed. Jim is preceded in death by his parents, James L. Sr. and Opal French; grandchildren, Adam, Shane and Aaron Ebert; great-grandchildren, Lily Parker and Winter Hertz. Jim's memory will be forever cherished by his wife, Margaret French of Broken Bow, Oklahoma; sons, Anthony Ebert and wife Teresa of Broken Bow, Oklahoma, Brent Ebert and wife Jennifer of Idabel, Oklahoma, Brian and Christopher French; daughters, Angie Praytor and husband Larry of Battiest, Oklahoma, Teresa Ward and husband James of Broken Bow, Oklahoma Stacie Conners; sisters, Jean and Judy French; brothers, Jeff and John French; ten grandchildren, nine great-grandchildren and one on the way numerous other relatives and friends. A visitation for family and friends will be held on Friday, January 18, 2019 from 6:00 to 8:00 P.M. at Bunch-Singleton Funeral Home Chapel. A Celebration of Life Service will be held on Saturday, January 19, 2019 at 2:00 P.M. at the First Assembly of God Church in Broken Bow, Oklahoma with Bro. Terry Bradley officiating. Interment will follow at the Broken Bow Cemetery.